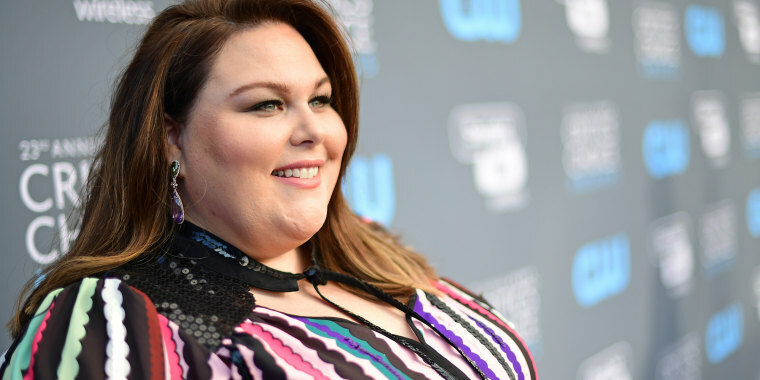 That’s how Chrissy Metz first reacted to some surprising advice on increasing her body confidence. But eventually, the “This is Us” star, 37, realized her coach just wanted to help her feel truly comfortable in her own skin, and to embrace her identity beyond her body. Ever since Metz made her big break playing fan favorite Kate Pearson on “This Is Us,” she has been open about her body confidence journey — and she has used her stardom to inspire others to love and respect themselves. In her recent memoir, “This is Me: Loving the Person You Are Today,” Metz revealed she overcame some serious negativity, including body shaming and abuse from a close family member, to love and value herself. Now, she exudes confidence — which Metz says springs from something much deeper than appearance. On "The Jenny McCarthy Show," she shared one of her favorite phrases to live by: "Esteemable acts create self-esteem." In other words, if you want to love yourself, start by loving and helping others.